The Minnesota Historical Society is home to many resources. The Gale Family Library is the best place for researchers to visit to find information on a multitude of topics. This includes a few folders of information about the court rulings and state appeals regarding the treaty rights of the Leech Lake and White Earth Bands of Ojibwe during the late 1960s and early 1970s. 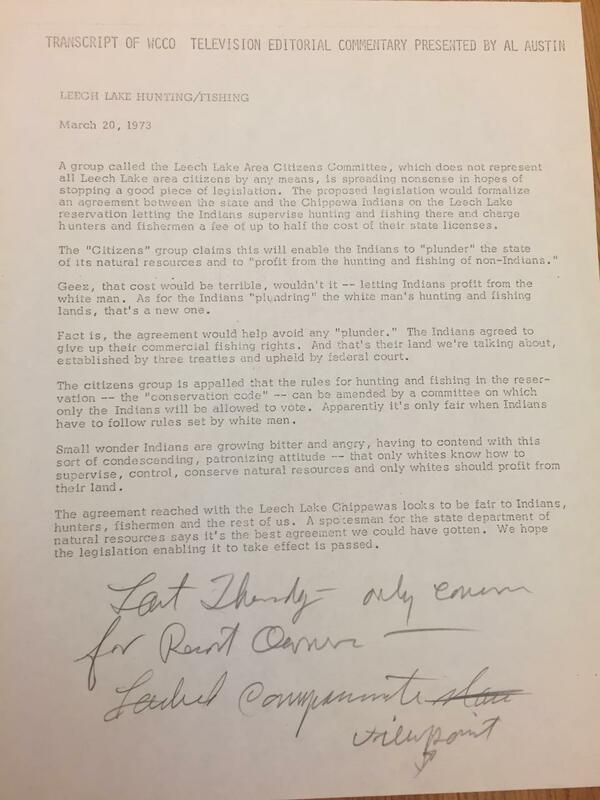 Members of the Leech Lake Band of Ojibwe were practicing their treaty rights when they were challenged by the Minnesota Department of Natural Resources. This legal dispute rose to the national level, with the United States Government siding with the tribes. This manuscript collection includes legal documents and many news reports on the dispute, with quotes from individuals on both sides. Another example of treaty rights disputes can be found in the finding aid of the Save Mille Lacs Association. The Minnesota Historical Society has many resources related to wild rice. From ricing sticks to wild rice itself, it is well represented in all of the different collections. 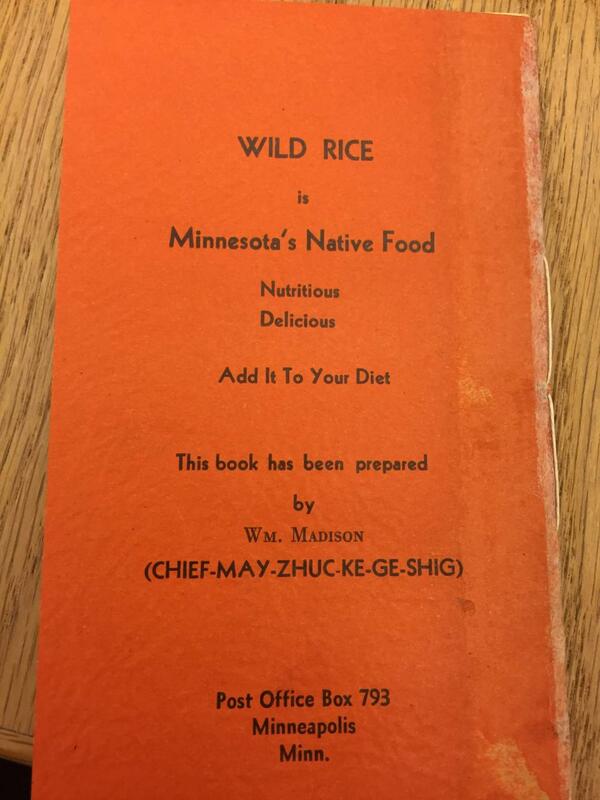 One unique piece is a recipe book for wild rice written by William Madison or Chief May-zhuc-ke-ge-shig. 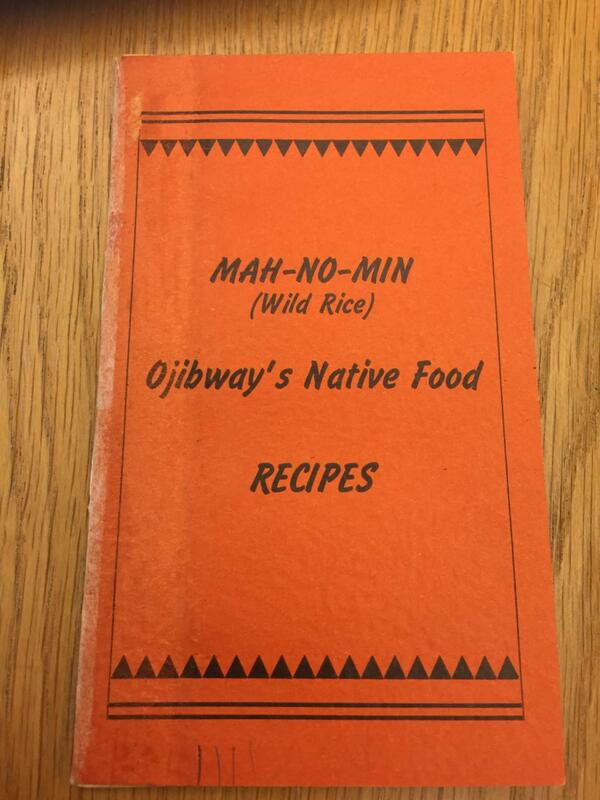 Madison was a member of the White Earth of Ojibwe and in 1940 put together this recipe book about wild rice with a few different recipes. Wild rice has been a staple for Ojibwe people since they arrived in Minnesota. For more library resources about wild rice, please visit the Gale Family Library. For wild rice photographs and objects in our collections, please visit Collections Online.